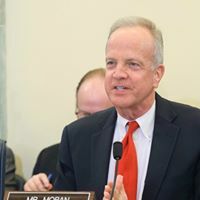 Kansas senator Jerry Moran is co-sponsoring a bill to enhance border security and provide protections for people who are in the U.S. under the Deferred Action for Childhood Arrivals (DACA) program. Moran and Ohio senator Rob Portman have introduced a bill to create a $25 billion trust fund to strengthen and modernize border security. It would also codify protections for people who entered the U.S. illegally as children and are covered by the DACA program. Moran said it’s a fair and reasonable solution that will provide border security in line with President Trump’s request. He said it also provides a permanent legislative solution to allow people in the DACA program to stay in the U.S. and continue to contribute to society. He’s urging senators on both sides of the aisle to support the bill. The trust fund would include payment for no fewer than 700 miles of reinforced fencing, additional physical barriers, access and patrol roads, lighting, surveillance cameras and the purchase of surplus Defense Department aircraft and unmanned systems.